It’s a bittersweet week for Dubai-based director and producer Pankaj Sehgal. His English-language political thriller ‘The Gandhi Murder’, starring the late Indian actor Om Puri and Hollywood talent Stephen Lang, will release in the UAE this Thursday as planned, but its release in India has been indefinitely stalled. His controversial thriller, which he has co-directed with Golden Globe-nominated Algerian director Karim Traidia, delves into a possible murder cover-up of the late icon Mahatma Gandhi and raises questions about whether the world-famous leader’s murder could have been diverted by the Indian establishment at the time, a theory that has proven divisive. “We have received threats and those threats weren’t limited to me anymore. They were threatening my family and when they go down that route, we had to make this difficult call between releasing my film and the security of the people I care for around me,” said Sehgal in an interview over the phone from Mumbai. 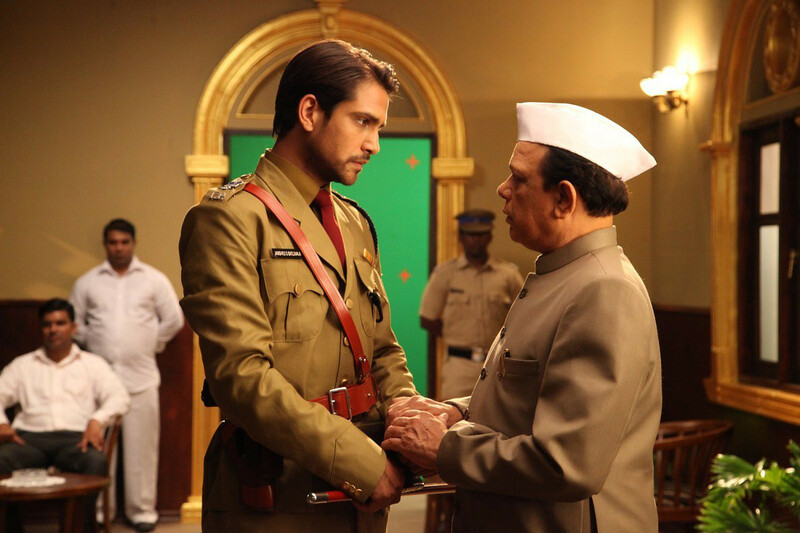 Luke Pasqualino and Govind Namdeo in ‘The Gandhi Murder’. Sehgal claims those making the threats of bodily harm have refused to divulge their identity or their political affiliation. “It’s a sad day for India when journalism, media, art or the people behind them are targeted by senseless threats and acts from people without any sense of reality,” he added. 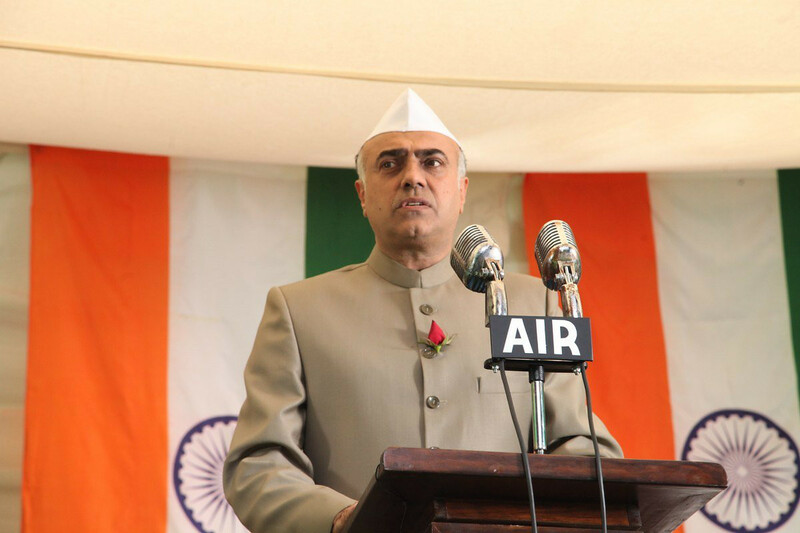 Sehgal is in India now brokering a meeting with politicians from various parties to help him release the film. He is hoping that their support might make his blackmailers see sense and mitigate the risk levelled against him and his family. It isn’t the first time that a film in India has faced issues over its release in cinemas. Om Puri in ‘The Gandhi Murder’. Last year, director Sanjay Leela Bhansali and its leading actress Deepika Padukone postponed the release of their warrior epic ‘Padmaavat’ due to fierce protests and death threats to Padukone. While Sehgal anticipated trouble in getting his film cleared in India, he didn’t expect it to snowball into such a big issue. He spent more than a year getting the necessary approvals from the Central Board Of Film Certification (CBFC) in India. “Tolerance is running low these days anyways and when it comes to Gandhi, India has a love-hate relationship. There is a section of people who revere him and there’s another section who believe that he was responsible for partition of India... It’s ignorance,” said Sehgal. He was also aware that a sensitive topic such as Mahatma Gandhi will face hurdles if made in India. Filming in Sri Lanka and Dubai with an international cast was his way of insulating his project from calls for ban. Sehgal’s agenda is simple: he has no political agendga. According to the UAE-based filmmaker, it’s not just the monetary losses that are crippling him at this point. Sehgal, who has lived in Dubai since 1997, is also willing to arrange screenings if those forces behind the threats come forward. On October 2, the 51-second trailer of ‘The Gandhi Murder’ was released to coincide with the birth anniversary of Gandhi, India’s Father of the Nation. 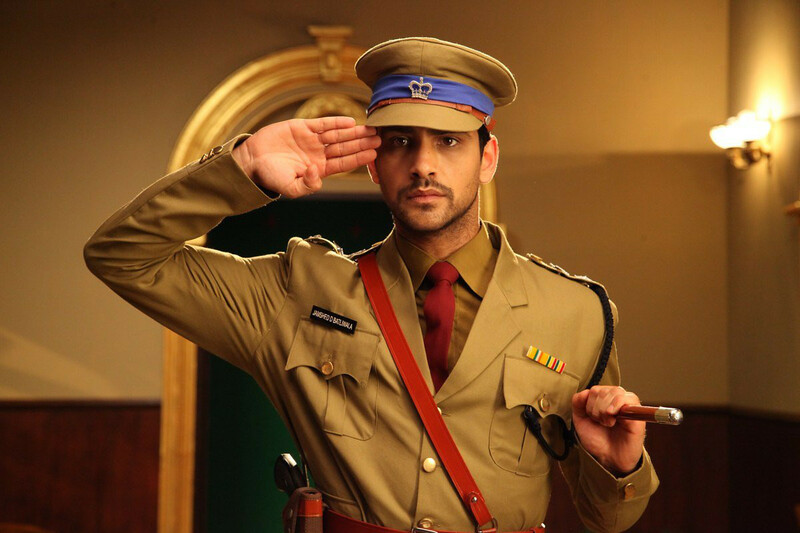 It’s also Puri’s last few films in which he plays a pivotal role. 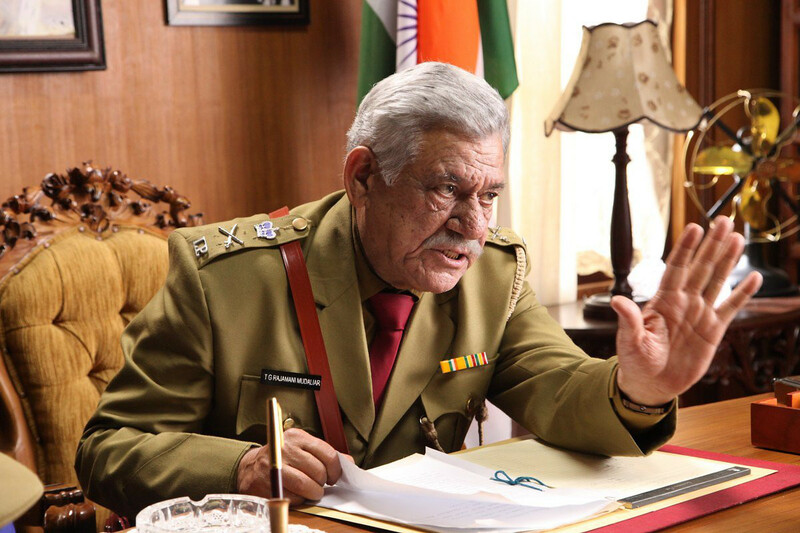 “You will see an Om Puri like the one that you saw in his critically-acclaimed Ardh Satya. He is aggressive here and he feels he can save Gandhi… It’s a role that we want to remember Om Puri in,” said Sehgal in a separate interview last October. It’s also an important film because it touches upon a subject that has rarely been explored in Indian history books, he adds. 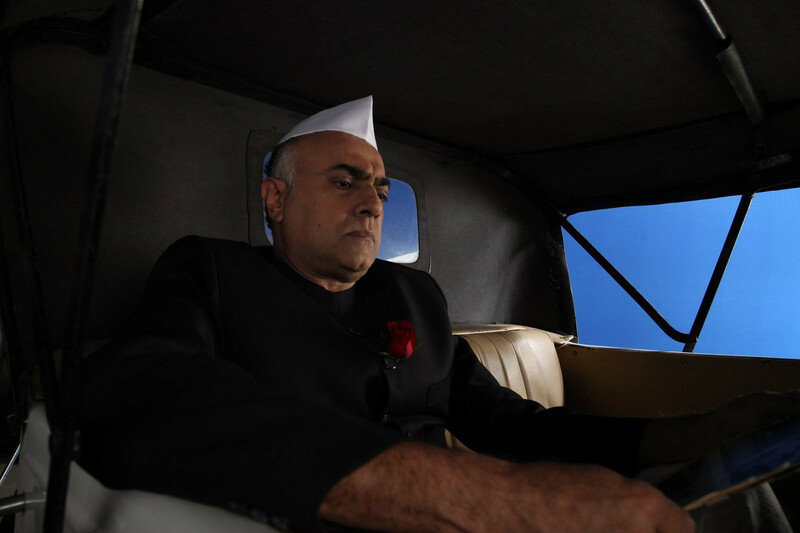 ‘The Gandhi Murder’ is out in the UAE cinemas on January 31. Sehgal, who is an avid history lover, made his ambitious project on a budget of $7 million (Dh25.7 million). As many as 46 nationalities feature in this multi-cultural film, which was shot over 80 days, claims the director. His crew spent around seven days in Dubai filming a few key scenes.